People travel not just more frequently, but increasingly far and quickly. 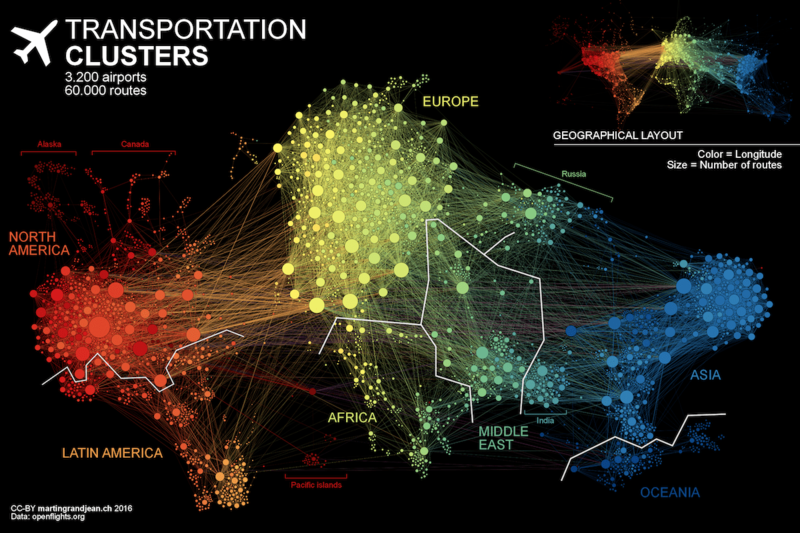 Mapping the connections between all the airports worldwide is a fascinating network visualization exercise. … an attempt to make explicit the network behind air transport. This entry was posted in Algorithm, Beauty. Bookmark the permalink.